The turmeric supplement I take says it will help as an antioxidant, for joint problems, for cellular health, and for cardiovascular health. What about anti-aging? I want it all! Tumeric is a spice and not an herb. However, this is only a minor distinction. For every plant that we use, the leaves would be herbs and the rest of the plant (stems, bark, seeds, and roots) would be spice. We get both herbs and spices from some plants. For instance, we get the herb cilantro from the cilantro plant but get coriander, a spice, from its seeds. The spice turmeric is often used in Indian foods. It is the main spice in curry and is the substance that gives food a yellow color. It is an amazing fact that the curcumin in turmeric is an effective anti-depressant as well as a help in relation to cancer. It is a fact that the cancer rate in India is much less than the cancer rate in the United States. Many researchers attribute this fact to the spice turmeric. Because inflammation has a direct relationship with cancer and curcumin is known to reduce inflammation, it is considered to be a therapeutic ingredient for protection of the body against tumors. This fact alone is enough support for adding turmeric to our daily supplements. The chemical substance, curcumin, in the spice turmeric is the substance that we need. 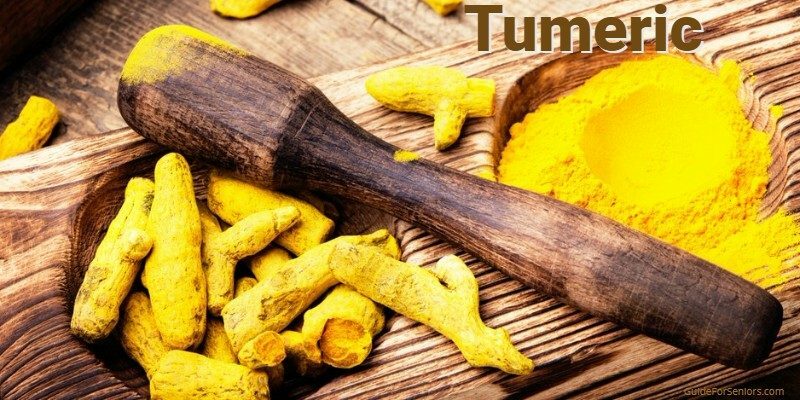 Tumeric extract with 5% curcuma is the best you can get. After all, you are looking for the curcumin and not the turmeric. But you can not get one without the other. If you have a 1000 mg pill with 5% curcumin, it will supply 1 gram of turmeric but only 50 mg of curcumin. It is enough. As with everything, too much of a good thing is not good. Most of the diseases that are due to inflammation in your body may be helped by the chemical curcumin. It helps throughout your body to aid in the reduction of inflammation. Inflammation is a major problem with arthritis, irritable bowel disease, gastric ulcers, coronary disease, diabetes, renal conditions, cholecystitis, to name a few. It feels like this is a miracle drug! This chemical has been used for nearly 5000 years throughout history. It was always used as a spice, but it was also a principal healing agent in the traditional system of medicine in the country of India. Many physicians agree that inflammation in your body leads to chronic pain and disease which leads to aging. In our quest for anti-aging, turmeric is an important part of our arsenal. WebMD claims that the chemical will help with a variety of ailments from arthritis to headaches to inflammatory bowel disease. How could we not consume turmeric? If it does even 10% of what it claims to do, it is worth taking. To date, there are no contra-indications for its use. Essentially the chemical curcumin is extremely safe. It exhibits no toxic effects and is one of the safest and most powerful dietary supplements on the market. There are numerous scientific studies published around this fact. The antioxidant abilities of turmeric are superior to many of the antioxidants on the market. Yes, it is the wonder supplement that we all need. As with all supplements, read the label. You do not need to take so much turmeric that you feel like you are turning yellow. This yellow stain is extremely hard to get out of clothing. I guess all good things have something not so great you still have to deal with. It is worth the effort when the benefits of curcumin are examined. The substance Bioperine is important to the body’s absorption of curcumin. 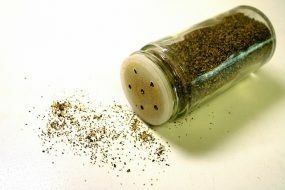 Bioperine is the active ingredient in black pepper. What is so amazing is that this substance, Bioperine, enhances the absorption of curcumin by 2000%. Most turmeric supplements contain Bioperine as the benefit is known to the companies producing the supplement. Curcumin can help those who are suffering from debilitating diseases and conditions as well as help everyone in their quest for a healthy life. Not only does it help with inflammation but the chemical is a powerful antioxidant. The “plant medicine” is often prescribed for anything from pain relief to healing as well as prevention and protection. Make sure to inform your physician about all of the supplements that you ingest. The last thing you need is to have a negative side effect when a medical drug is prescribed. You can order turmeric from Amazon. Two turmeric capsules by Herbtronics contains 1050 mg of turmeric and has 95% curcuminoids. In addition, each capsule includes Bioperine to help in the absorption of the supplement. Even if you do not take two capsules each day, one capsule daily will help more than no capsules! Do yourself a favor and help your anti-aging efforts by taking turmeric every day. Turmeric Curcumin with BioPerine 1500mg l 95% Curcuminoids (450mg) 15X More Potent! 120 Capsules Turmeric C3 Complex l Joint Pain Anti-Inflammatory Turmeric Supplement/Tumeric Capsules Black Pepper . Read more on Guide For Seniors about supplements that will help you in your anti-aging efforts.